Abia needs twenty-five billion naira to clear salary, pension arrears. – Royal Times of Nigeria. 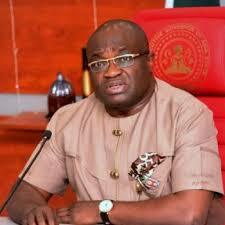 Abia needs twenty-five billion naira to clear salary, pension arrears. The Nigeria Labour Congress (NLC), Abia chapter, says the state needs twenty-five billion naira to enable it clear the arrears of salaries, pensions and gratuity. Obigwe, who addressed journalists on labour’s impending industrial action billed to start at midnight, said organised labour had exhausted all avenues for a peaceful resolution of the agitation for sixty-five thousand naira minimum wage. He said that the boycott by representatives of the Federal Government from the tripartite meeting on the minimum wage showed that government was not ready to pay the new wage. He said that the current minimum wage, which took effect in 2009, was due for a review in 2015, but regretted that Federal Government failed to do the needful. He said that the rate of inflation in the country had eroded the eighteen thousand minimum wage and that with the high inflation rate and cost of living, an average Nigerian worker had become more impoverished. He said that the new minimum wage being demanded by labour was not too big for government at all levels to pay. According to him, Nigeria pays the least wage in the comity of nations. The labour leader hailed Federal Government’s anti-corruption war, but warned that it would amount to an effort in futility if it failed to pay the new minimum wage. He said that the new wage would help to strengthen the anti-graft war, if granted. Obigwe said that NLC was consulting with the governors on how they could pay the new minimum wage.